If you would like to watch on some JIRA fields then this is the event for you. These kind of events trigger immediately when a certain action is performed on JIRA issue field and that field is watched for a change. 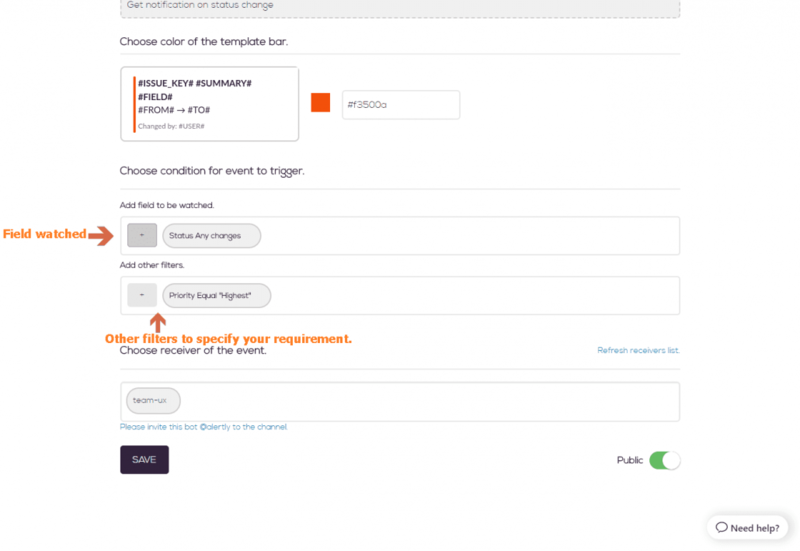 You can also limit your alerts by providing extra filters with the field to be watched. https://alertly.io/wp-content/uploads/2017/11/alertly-purple-beta-logo.png 0 0 Alertly https://alertly.io/wp-content/uploads/2017/11/alertly-purple-beta-logo.png Alertly2017-10-17 05:20:452017-10-17 05:20:45What are Field-Watcher events?